Immerse yourself in the charm that can be witnessed in every plaza, church and museum, while you stroll down the streets of downtown Quito and to the Middle of the World located outside the city. As with most places in South America, it is best to book your airplaine ticket in advance to get good prices! I personally recommend using Expedia to find the best rates. Quito is a vibrant city, and booking a tour will ease communication barriers and avoid the hassles of planning and logistics in this big city in South America. Book ahead your tour in Quito, visit the Middle of the World Monument, the historic centre and more, here. If you are in Quito I would love to see your pictures. Hotel Reina Isabel is located in a quiet area but also not far from Plaza Foch. Within walking distance you find one of the nicest areas for locals and tourists alike. Minutes away from shops, restaurants, pubs, bars and more. In addition, the staff is very professional, helpful and friendly, the food is good and there is a gym/spa! Once you arrive the main square, “Plaza grande” in the middle of the downtown area you can easily stroll along the streets and get immersed in all its colonial charm. Immerse yourself in the charm of the plazas, churches and museums, while you stroll down the streets of downtown Quito. You can easily combine this day tour with a visit to the monument of the Middle of the World located outside the city. To enjoy the vibrant nightlife in my city visit one of the nice, cozy restaurants, pubs or cafés in the Mariscal area. This is the meeting point for tourists as well as for locals, the place where we all meet at night for a nice cup of coffee, enjoy live music, play some billiard and dance. And if you want to take salsa lessons or learn Spanish, Quito is one of the best places in South America to do so. Your hotel might be able to help you get in touch with teachers. 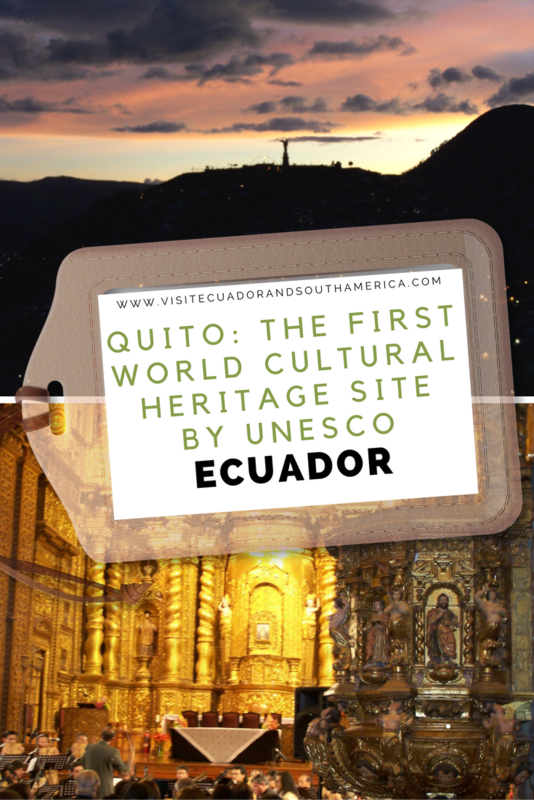 Have you been to Quito already? Which place or activity did you enjoy the most in downtown Quito? You can read more about Quito, here. If you would like to get some great tips, maps and all information needed before and while you visit Ecuador, I highly recommend to get the travel guide Lonely Planet Ecuador & the Galapagos Islands.